Unique location direct at the beach of Gennadi ,12 km from Lindos perfect for 2 family's or a couple of friends,as well perfect for Surfers as Prassonissi,surfers paradise is only 20 min. drive away . 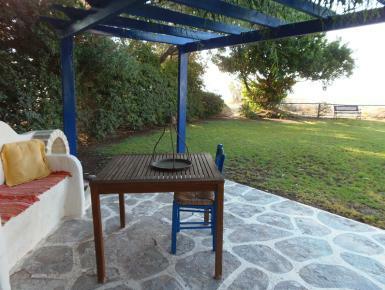 2 bathrooms, lounge, dining Room, fully fitted kitchen,partly air-conditioned ,one overlooking sea balcony, one overlooking garden balcony with lemon trees are suitable for a romantic get away .A large fenced garden of 500m2 , safe for children to play with a covered in-build BBQ . A place for relaxation and tranquility. Local Village 10 minutes walk away.